Checking off a long overdue bucket list wish. Guess who we found? Show of hands if snorkeling the Great Barrier Reef is on your bucket list? I sure hope so. It’s been on ours since forever. We purposely saved the best for last on our one-month road trip in Australia. Last stop – Port Douglas! 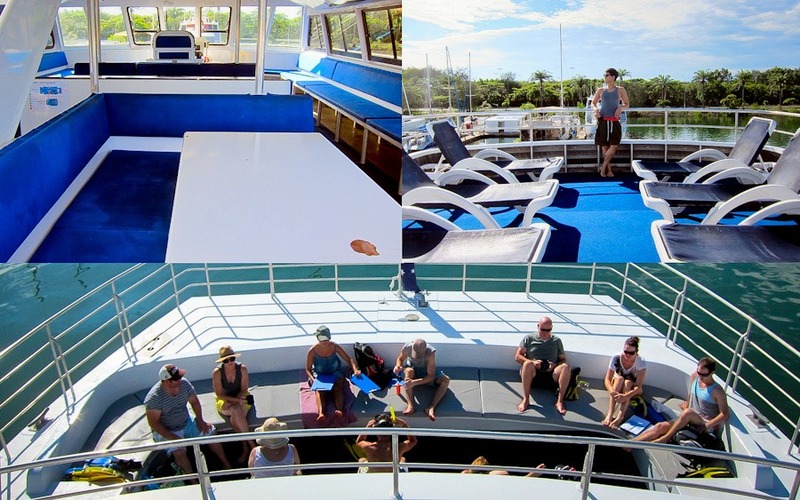 Calypso is a tri-level catamaran with upper and lower foredeck, back deck and sun lounge which provide 360 degree views of the reef. 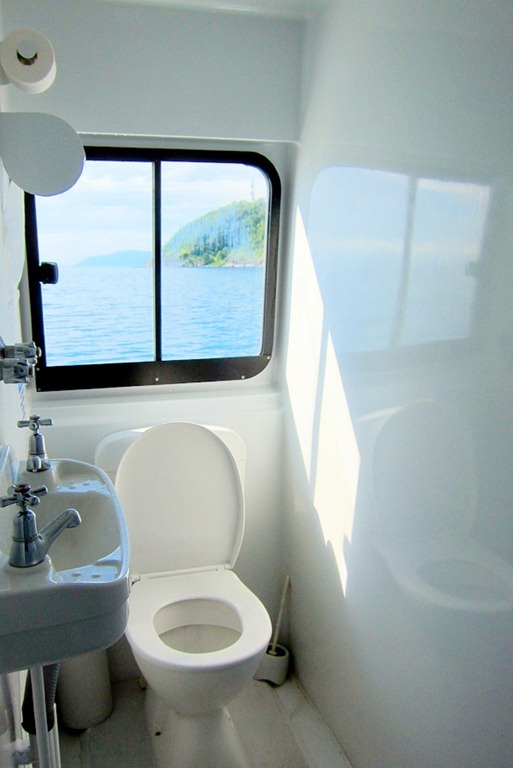 I mean, they literally built this vessel for all types – Gerard spent most of his time at the lower foredeck sunbathing while I ducked inside to hide from the sun and nestled closed to the tea and biscuits. Speaking of which, the snacks and food served on board is delicious. Scrumptious biscuits and cakes that change after each snorkel trip along with a buffet lunch of cold cuts, potato and fruit salad, bread and all the tea/ coffee you can drink. There was plenty to go around so I helped myself to another heaping spoonful of potatoes, and of course, more biscuits. I’ve been on a few tours where my stinger suit is either torn and worn out or that my snorkel mask is about near the end of its life – old gear, yuck! Worse is when its that ‘one-size-fits-all’ crap which in most case, I’m drowning in my suit. With Calypso, even though its not new new, it’s as good as new. They’ve got specific suits for men and women and different size options to fit all – literally. And, they’ve even branded their own stinger suits! 5. 3 Snorkeling and Dive Locations! The coral in the first location is the deepest, several meters down and the water visibility is OK. Good for divers but for snorkelers like us who can’t free dive, we couldn’t get up close. Still this was our first time in the water so you can imagine we took heaps of photos! Visibility is much better at the second stop. 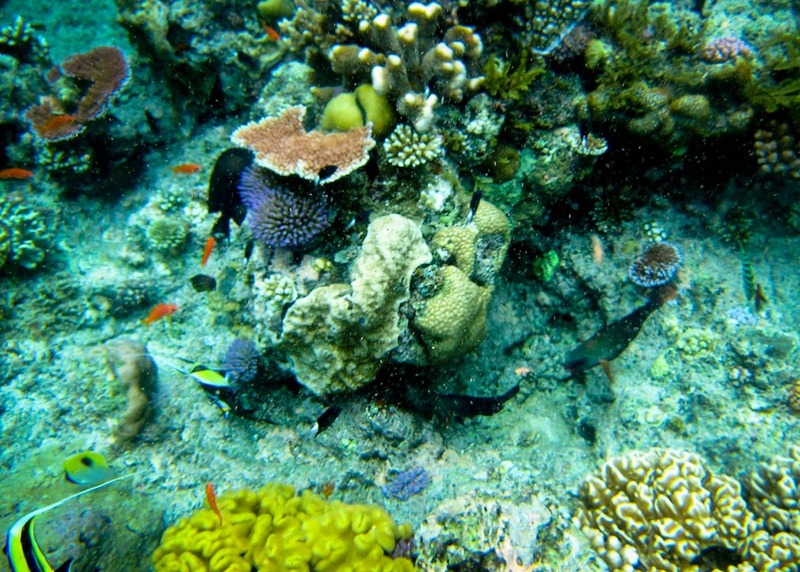 The coral is more vibrant and colorful now only a meter or two away. Here is where you can have a snorkel guide. 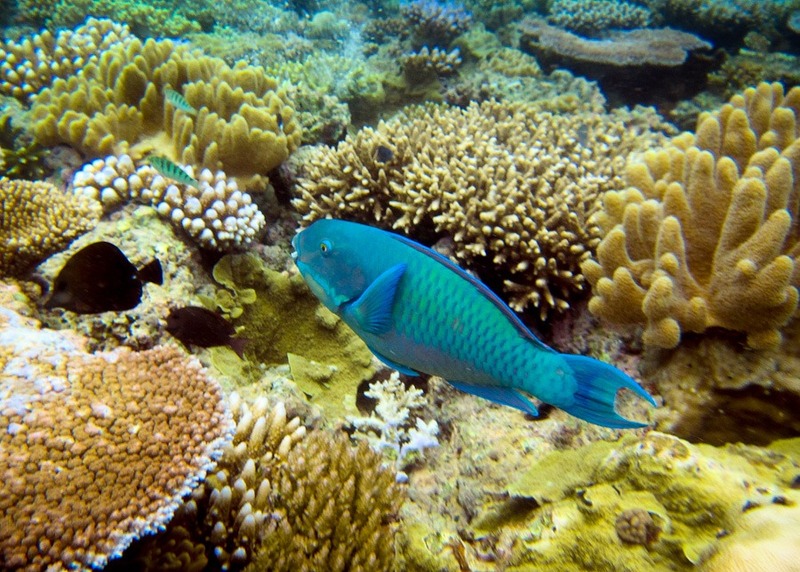 If you want to learn a bit more about the Reef, maybe learn a thing or two about corals and types of fishes, then I suggest you join in. I made sure to have Richard, our snorkel guide, close by because we were on a mission – to find Nemo. And while Richard did find some clownfish here, they were further down which means I’d have to free dive to get a glimpse of them. Needless to say I failed. But I was told I’d get a chance on the last dive so my spirit wasn’t all lost. The third stop is the best of the three. Trust me when I say, save your film/memory and battery. The reef is shallow, less than 2 feet from surface, and the water visibility is so clear all the fishies came out to play. 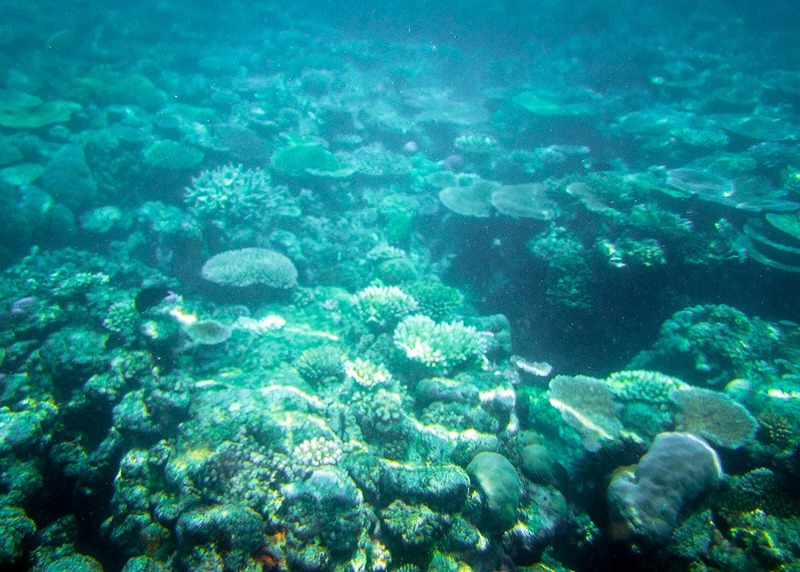 It’s exactly what I’d picture the Reef to look like – just like the movie! LOL. And look who we found.. The highlight of our day for sure. I could have kept the video going for much longer had I not wasted the battery on the first two sights. You know we like a good family run business and Calypso is no different. The staff is super friendly and readily available to assist in any way possible. Richard even found Nemo for me! Need I say more? Calypso offers amazing photos! For just $55AUD, you get a disc of all images from the day including additional Reef images. Fifty-five bucks and you get to take the Reef home with you! Make sure you get as much camera time as possible. We brought our own camera with an underwater case and was able to get some great shots. But even we couldn’t take photos of the both of us. 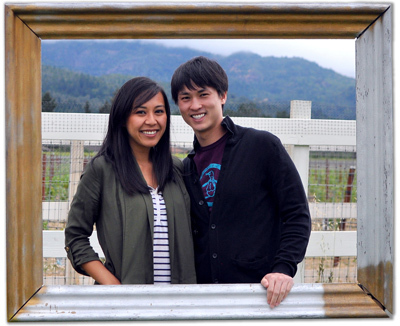 Thanks to Calypso, we have awesome photos of the two of us to share! Trust us, it’s worth it. 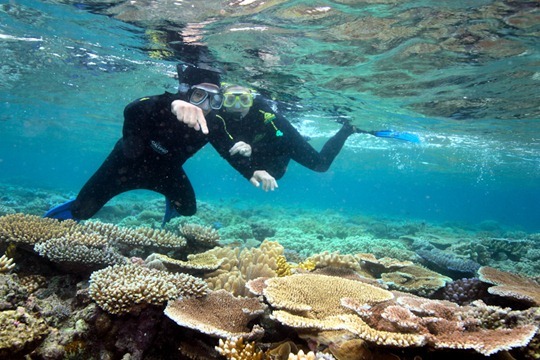 How often do you get to say you snorkeled the Great Barrier Reef? Every time Gerard and I got in the water, we felt like uncontrollable giddy children. With each sight, we snorted and made weird noises through our mask pointing and attempting to say, fishies! All I can say is, this was one of the best days we’ve had on this trip thus far. So what are you waiting for? 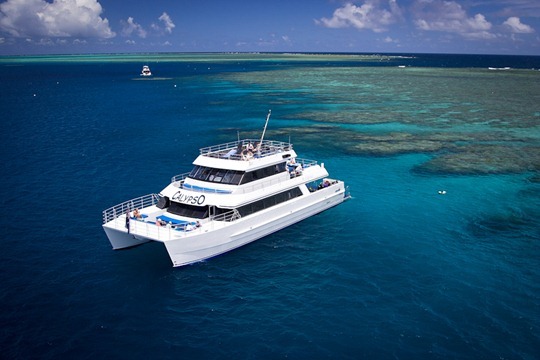 If you’re in Australia, get your reef experience on with Calypso. You won’t regret it. Where are some of your favorite destinations for snorkeling? To help check Great Barrier Reef off your bucket list wish, consider snorkeling with Calypso. Price for adult is $190 AUD/ $135 for child and includes day cruise, snorkeling equipment, tea, coffee, biscuits and an amazing lunch buffet. A $5.50 Environmental Management Charge is also required. For more information on scuba diving, visit their website for more information. Disclaimer: We received a discounted rate with Calypso. However, this review remains independent. My thoughts, my words. Still my voice behind the blog. The photos are fantastic, definitely worth $55. It really was a steal. 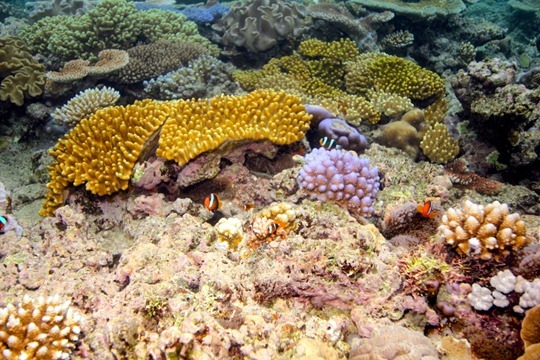 We have a CD full of amazing photos of the Reef! I think that toilet would be reason enough to go. haha. Solid looking boat. You’re so cute in your snorkel gear! When Kali and I went snorkeling in Koh Tao we looked way less cool. 😉 How warm was the water? I’m surprised you’re wearing wetsuits!